Roberto Olivan opens l’Obrador - Espai de Creació in Deltebre - R.O.P.A. 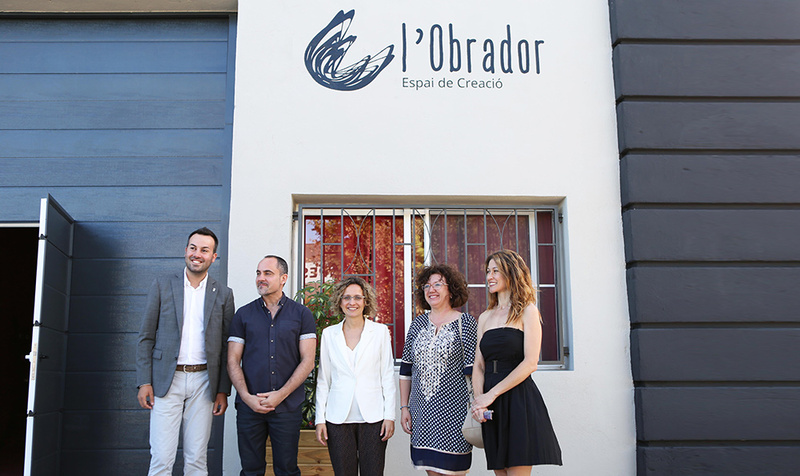 Last 1st July, after months of hard work adapting the space, l’Obrador – Espai de Creació could open its doors. This space is the new headquarters of the company of Roberto Olivan, founder and artistic director of R.O.P.A. – Roberto Olivan Performing Arts and the Festival Deltebre Dansa. The opening was in charge of Meritxell Ruiz i Isern, Minister of Education of the Government of Catalonia; Lluís Soler i Panisello, Mayor of Deltebre, and Roberto Olivan. The space is located in Deltebre’s former rice cooperative. This project has been possible thanks to the Deltebre City Council, who has transferred the space to the company. The aim of l’Obrador is to deseasonalise the artistic activity in the town in order to become a centre for continuous artistic creation throughout the whole year. In this way, l’Obrador will not only host the activity of the Festival Deltebre Dansa, but also the activity of the company. As part of its creative activities, since 2001, R.O.P.A. has created, produced and toured internationally with its own performances and workshops as well as commissioned works for dance companies, universities, dance institutions and schools. At the opening, Olivan performed an extract of his new work in progress Cuculand Souvenir, which will be premiered on April 2018. With this action Olivan wanted to show that l’Obrador has already started with its artistic activity in Deltebre and that this new space opens the doors of the area to the international artistic creation.